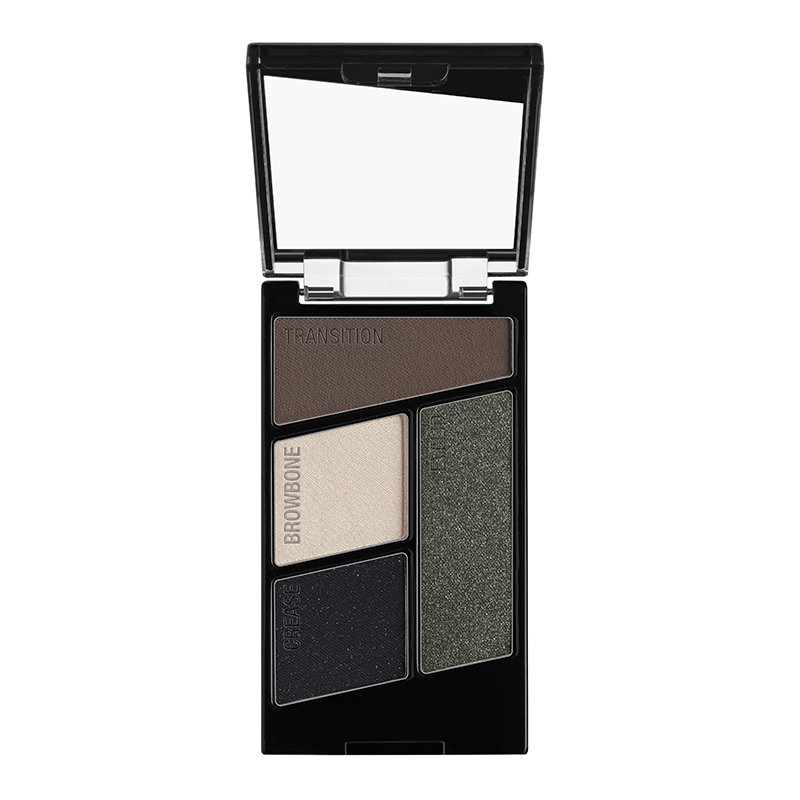 An eyeshadow quad with a mix of matte and shimmery shades. These deeply saturated eyeshadow powders blend effortlessly, coating eyelids in rich colours perfect for simple as well as dramatic eye looks. - Use the markings on the eyeshadows as an application guide. - Apply the transition shade on to the crease and the eyelid. Blend well. - Apply the eyelid shade to the eyelid and inner eye corner and blend well. - Apply the crease shade on to the outer eye corner. Blend inward into the crease and the eyelid. - Finish by applying the lightest shade on to the brow bone.